This linter plugin for Linter provides an interface to SourceKitten’s syntax information. Used with files that have the Swift syntax. 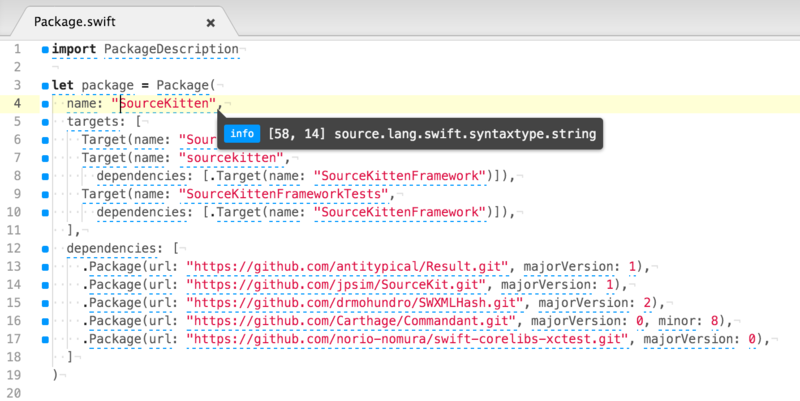 You can configure linter-sourcekitten-syntax by editing ~/.atom/config.cson (choose Open Your Config in Atom menu): cson "linter-sourcekitten-syntax": sourcekittenExecutablePath: "/usr/local/bin/sourcekitten"